Whether it’s a treat for you or a gift for someone else, jewellery is always a good choice. I’m quite picky when it comes to jewellery, not really owning or wearing much of it apart from my Pandora bracelet and my gold triple stone ring, earrings are usually my own from Pixel Stones and that’s about it. I think it’s usually because I forget to take it all off when I go to bed and then either loose it or break it but if I do get something or wear something new, I love to show it off and keep it for best. 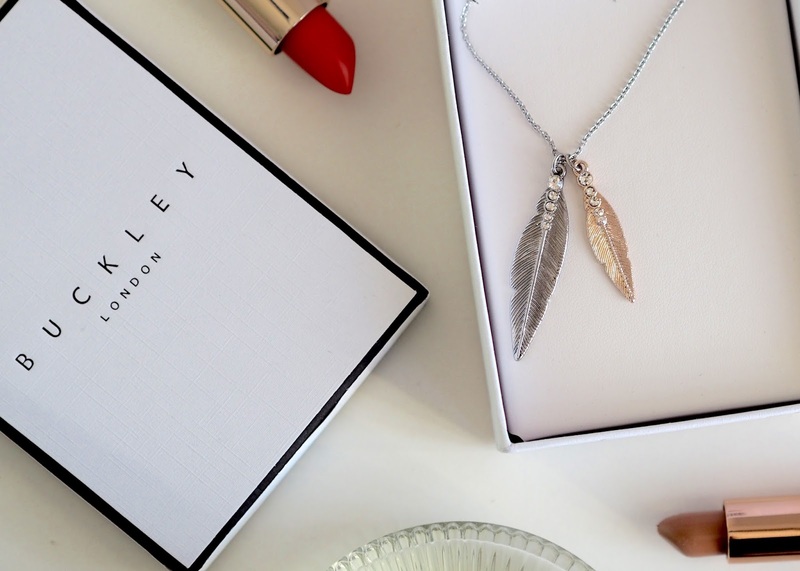 Buckley London have a huge and gorgeous range of jewellery that suits all budgets! If you’re looking for a certain thing for someone else or fancy buying something new, you’ll definitely find something over on their website. With Valentines day and Mothers Day coming up, it’s also a great time to have a browse and see if there’s something on there which would be great for someone else too! I’m a huge lover of gold - I don’t usually wear silver as I just prefer the look of gold against my skin but with a mixture of the metals, I can wear them both. My Pandora bracelet is the rose gold version so with it being mostly silver, there are subtle rose gold aspects to it and I love it. 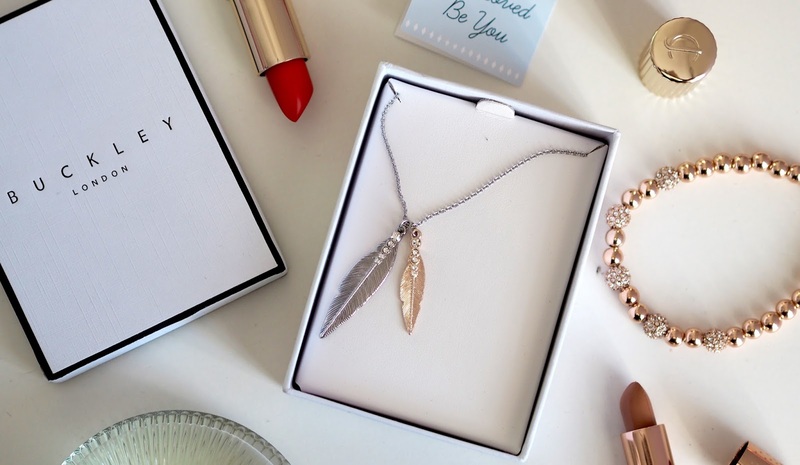 The same with this Angel Feather Pendant Necklace. The perfect split between the gold and silver, with the additions of the gorgeous gems, it’s a cute necklace to wear to give any outfit just a little something different. It’s also the perfect length chain and I think it would make a great gift for Mothers Day as the feathers could symbolise Mother and Daugther/Son. Any jewellery on Mothers day is going to be a winner but something as beautiful as this will really give you top marks! It also comes beautifully packaged too with a little hook on the box so that it can be hung and doesn’t get tangled! 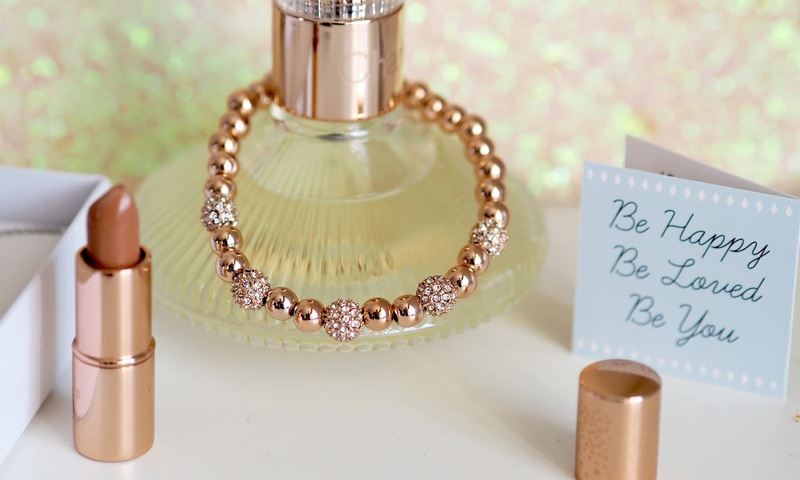 If you’re more into bracelets and bangles, the Pimlico Rose Gold bracelet is just the thing. 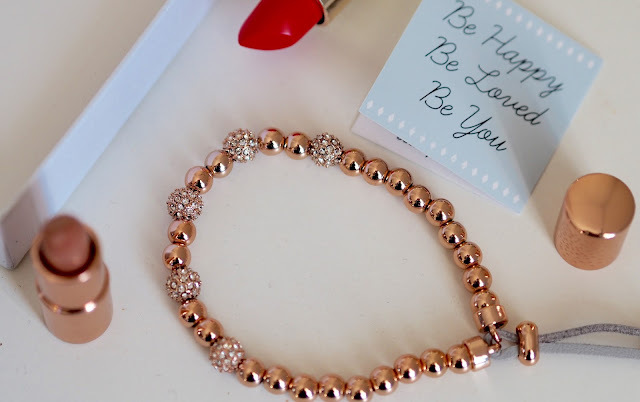 Its elasticated so will fit most people and the beads are a gorgeous rose gold colour with 5 added beads that are crystallised with gems. The beads sit on a grey rope which I think is the perfect contrast of colours and works so well together. I wear mine daily as I think it can be dressed up or down and usually double it up with my Apple watch which is on a Rose gold strap. Such an affordable item too at just £15.00 - if you’re looking for ideas for Valentines day then this is the perfect thing! There’s so much more to look at on the websites with gift sets, bangles, earrings and more - you can definitely bet that you’ll find at least one thing you love so make sure you tab the page and drop a hint if you’re looking for something sparkly!